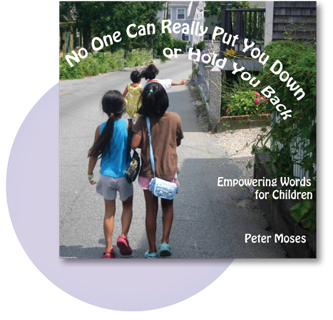 Introducing three sweet, uplifting and empowering digital BOOKS FOR CHILDREN by Peter Moses. 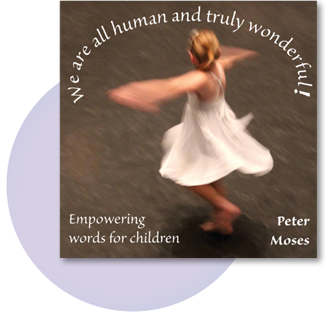 Peter’s original songs and music on each theme are sprinkled throughout each audio title! We are all human and truly wonderful! It’s all about how we are totally amazing human beings, with creativity and deep feelings. We’re completely unique and yet a part of one big human family. 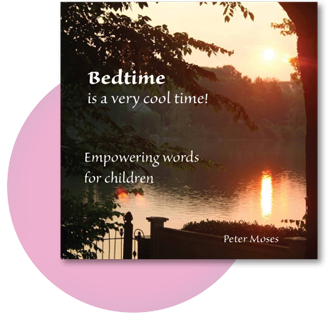 Bedtime is a very cool time! May we fully appreciate how wonderful it is to sleep and to dream. Children can be open to great wonders and imagination, while grateful for the beauty of quiet space and relaxation. Offers children resources for self-esteem, compassion, independent thinking and freedom from abuse such as teasing and bullying. We all have great gifts and we don’t have to believe everything we hear or think.